406 1323 Homer Street, Pacific Point II. Originally built in 1993, the entire building was renovated but also remodelled to modern standards in 2013. This 2 bedroom plus den has a stylish interior with quality high end finishing’s throughout. It includes a gourmet kitchen with Bosch stainless steel appliances, smooth ceilings, custom roller blinds, under-mount sinks, polished QUARTZ counter-tops and then laminated floor. Last but not least, building amenities include: concierge, fitness centre, yoga area, pool, hot tub, sauna, change rooms, party room & visitor parking. 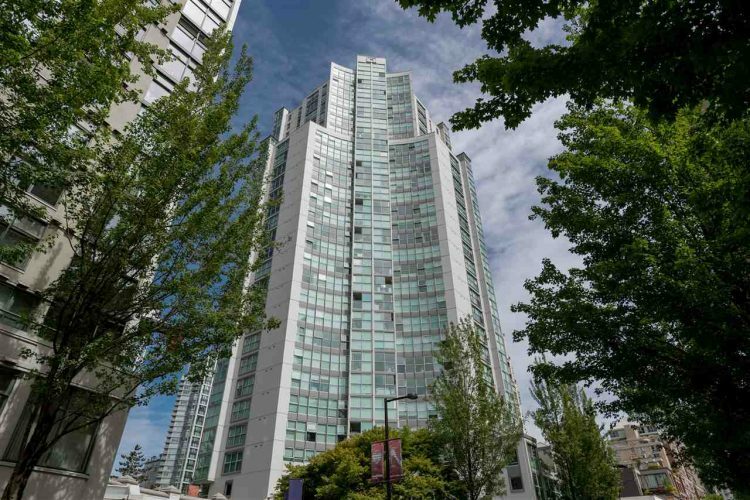 Located in a central and convenient area of Yaletown. It is close to restaurants, Seawall, David Lam Park but also steps away from Yaletown Skytrain Station. Pets & rentals welcome. Balance of 2-5-10 Warranty.